This classic solitaire pendant would be a welcome addition to any jewellery wardrobe. 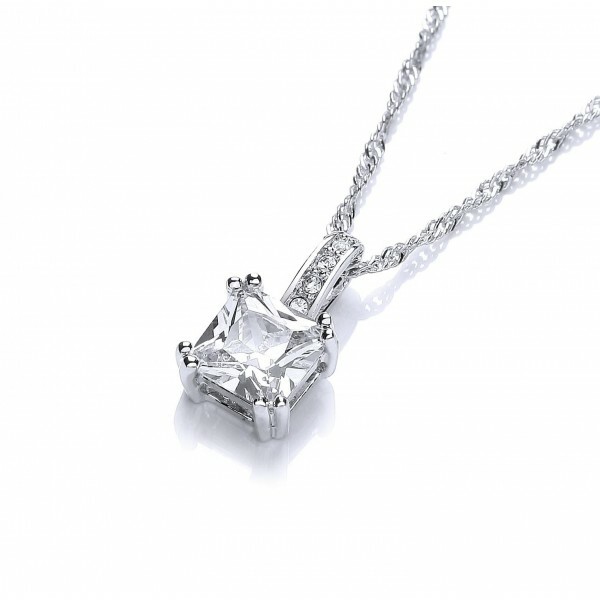 It is plated in 925 sterling silver plate and features one large emerald-cut cubic zirconia (10x12mm) and three brilliant-cut cubic zirconias (3mm) in the bale. On a curb chain measuring 41cm plus 6cm extender.